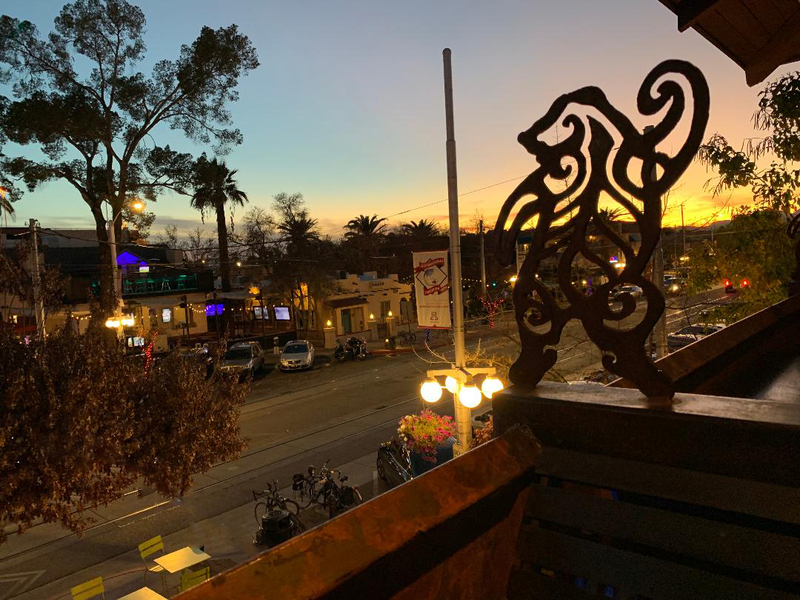 The view of University Boulevard from the top floor of Gentle Ben's Brewery in Tucson, a block from the main gate of the University of Arizona. We met friends here for a run, a bite, and a few drinks. They ran, we ate and drank.